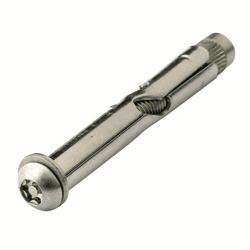 Fast and easy installation, just like a normal sleeve anchor. Domed head leaves no threads protruding which could pose a hazard. Stock held in 304 grade Stainless steel. Also available in zinc plated and galvanized steel to order.